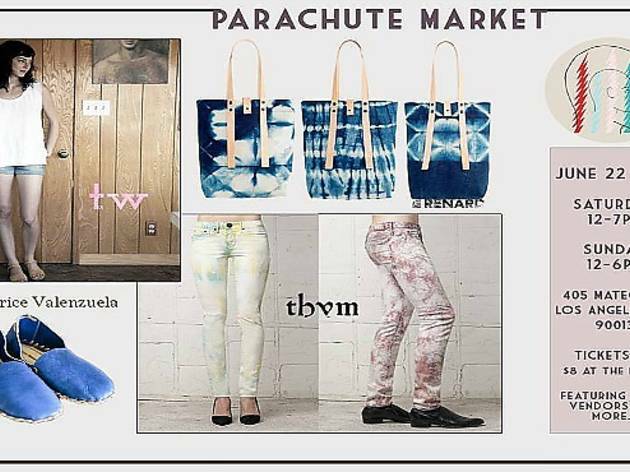 Head downtown to the Arts District for the launch of Parachute Market (405 Mateo St), a seasonal design fair showcasing furniture, fine art and vintage fashion. For $6 ($8 at the door), browse new LA-based talent like Al Que Quiere (Matthew Sullivan) and Tanya Aguiñiga, plus established designers like Peter Shire's Echo Park Ceramics and Jim Olarte. 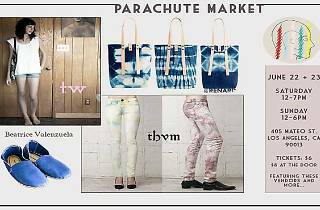 After outfitting your home, outfit yourself in vintage fashion from A Current Affair's Richard Wainwright and Scout Vintage. Delicious food will be served in a curated area by Lindy & Grundy's Amelia Posada. A percentage of ticket proceeds will be donated to Inner City Arts.